This is the Southeastern Raptor Center. Center staff conducts programs throughout the Southeast using non-releasable raptors in its educational programs, and rehabilitates and releases hundreds of injured birds of prey annually. The Southeastern Raptor Center is not open to the public except for special presentation dates designated on our online calendar. To make your own appointment, call 334/844-6943 for pricing and scheduling details. Like the Southeastern Raptor Center on Facebook to stay up-to-date with all recent news, events, opportunities and more. All of our active patients are listed on the site RAPTORMED. To check on the status of a raptor that you have dropped off, click here. To support the rehabilitation mission of the Southeastern Raptor Center, give now. 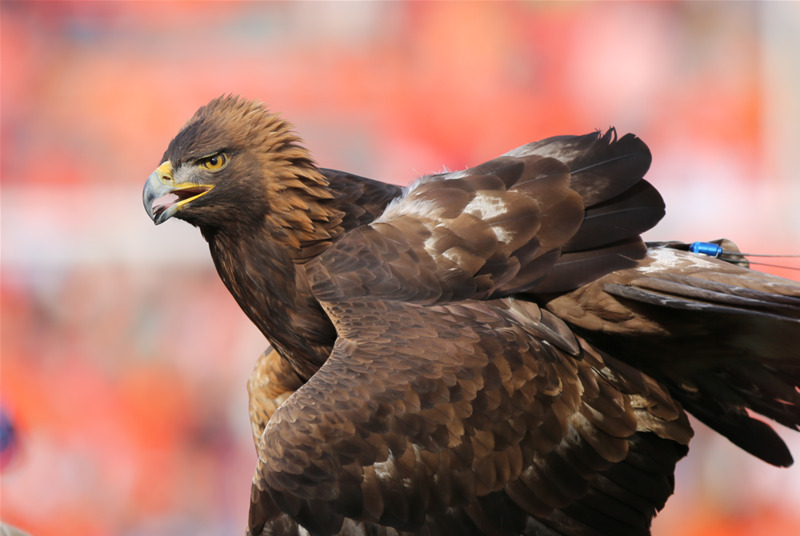 Support the flight of the Auburn eagles and the mission of the Southeastern Raptor Center. To learn more about the War Eagle Forever program and ways to give, please open the brochure.